Covered in GREEN logos and Vinyde. 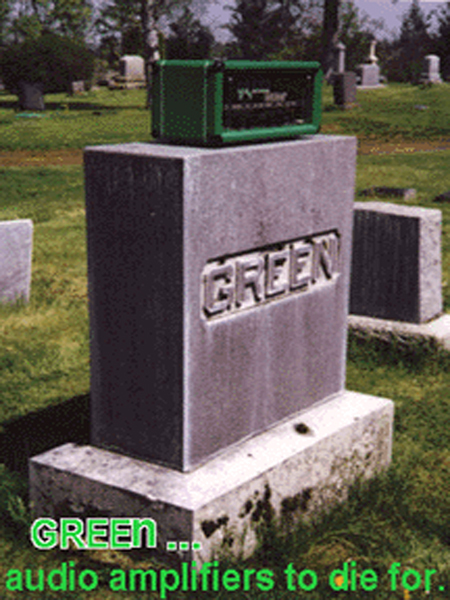 The enamled MAT MATHIAS front panel under the "GREEN LOGO". 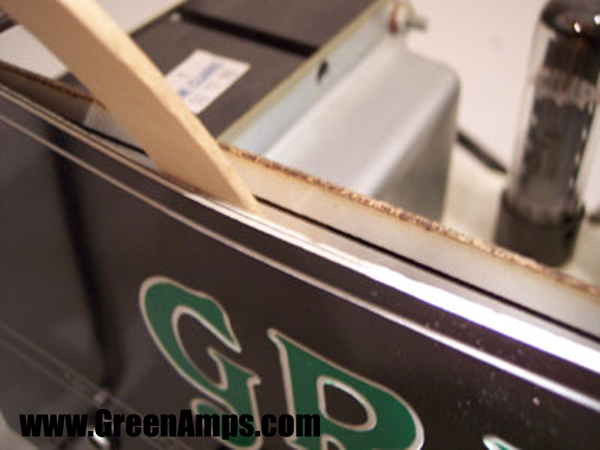 An old rusty 1978 MATAMP GT-120 covered up in GREEN. to ORANGE that was making a comeback with Gibson at the time. 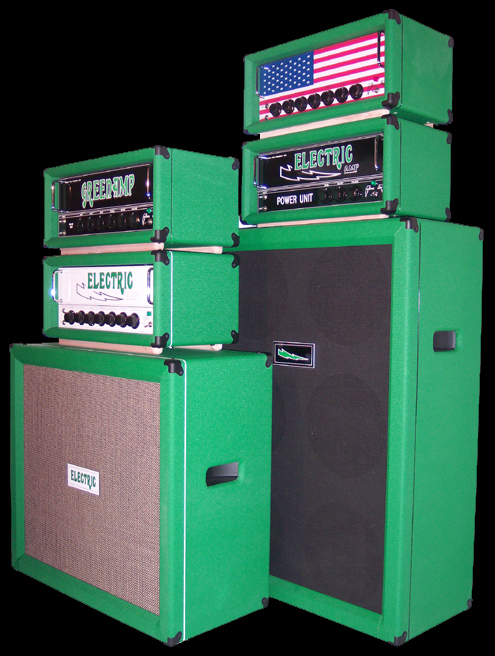 There was basically one band playing these on Earth. 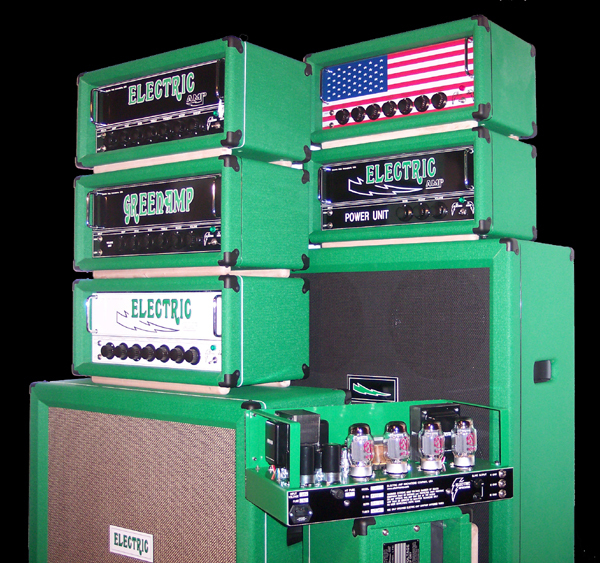 complete a whole song without blowing tubes and fuses. The myth started but there was no sustain. $1000+ of repairs to make it run before it ever felt 120V in the USA. 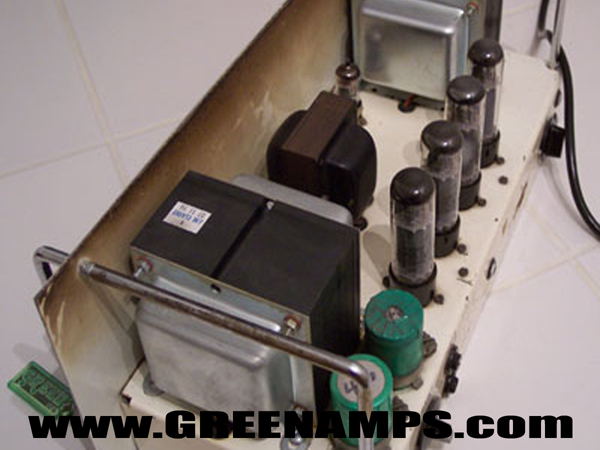 The amp was ordered in February of 1994 and arrived into the usa in September of 1998. 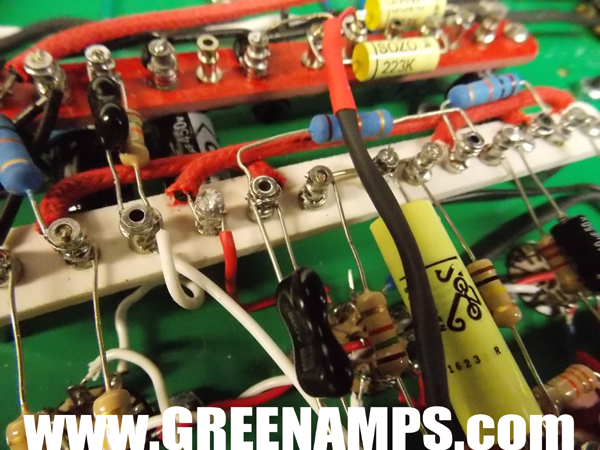 The GUTSHOT of a GREEN Electricamp made in the USA in 2017.
from 100% all brand new parts. Ready to play right out of the box.